As you may know, Police Scotland’s School Liaison Officers (SLOs) deliver classroom inputs to schools across the north east on several topics. During a recent delivery of ‘Knives and Other Weapons’ to a class within the North East, the SLO was in discussion with the pupils about Section 49(1) of the Criminal Law (Consolidation)(Scotland) Act 1995 which states that it is an offence to have in a public place a bladed or sharply pointed article, and that a school premises is considered to be a public place. At this juncture several pupils removed a small pair of scissors in a sheath, similar to the illustration below, from their pencil cases and asked if they would be considered a sharply pointed article. 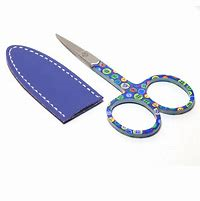 The pupils added that the scissors had been part of a ‘Back to school’ pack they had bought that included items such as a ruler, protractor etc. The SLO confirmed that the scissors would indeed be considered a sharply pointed article and, with the class teacher, took the scissors from the pupils. As the scissors had been purchased as part of a ‘Back to school’ pack in good faith, no Police action is being considered regarding the possession of same by the pupils. However, in all likelihood there will be other pupils across the north east who have purchased similar ‘Back to school’ packs that contain scissors, or who simply carry scissors in their school bag not knowing that they are deemed a sharply pointed article, and so we’d be obliged if you would consider making your schools aware of these circumstances and have them instruct parents/carers not to have pupils attend at school with same.